First, apologies for the week-long absence! My computer crashed, then I thought I would get it back yesterday, but it turns out that is impossible to resurrect it 😦 So, I now have a brand new computer to blog from! 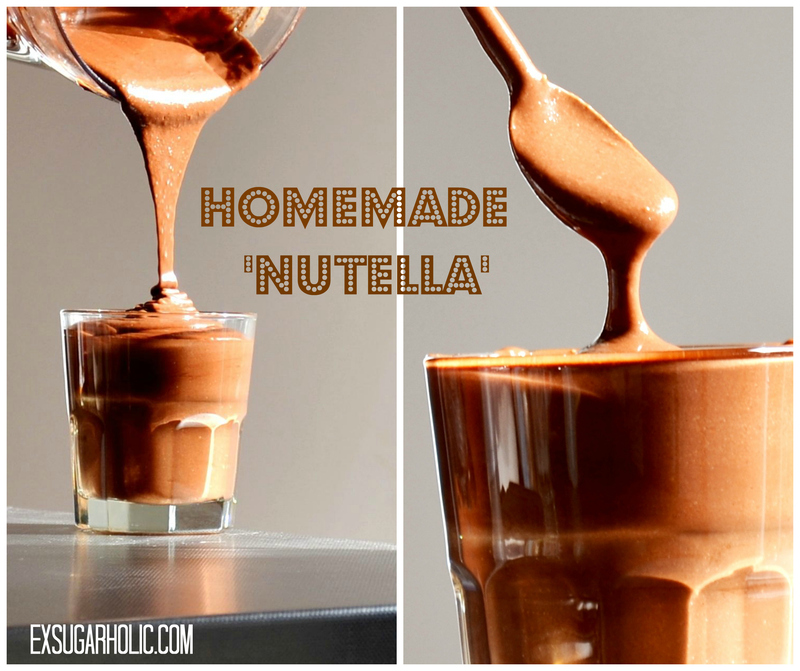 I had a request for my healthy copy-cat Nutella recipe – so here it is (shop-bought Nutella is crammed full of sugar and 20% oil, this recipe only has 2 table spoons of oil + what is in your chocolate). Please note that this is not dairy or sugar free, but it IS palm oil free and gluten free as long as the chocolate is. Please see further below for a “free-from” chocolate spread. In terms of chocolate, I made mine with Whittaker’s Creamy Milk which is perfect, but I think mainly sold in New Zealand (Whittaker’s is a very popular brand here). However, if you can’t get this, aim for a milk chocolate which is (like Whittaker’s Creamy milk) around 33% cocoa solids, 30% milk solids, pure cocoa butter and no added vegetable fats (let me know if you find another brand that tastes just like Nutella in the final recipe). Heat oven to 175C (350F). Place hazelnuts in one layer on a baking sheet and pop in the oven for 8-12 minutes. When the skins start to crack, take them out and let them cool down. 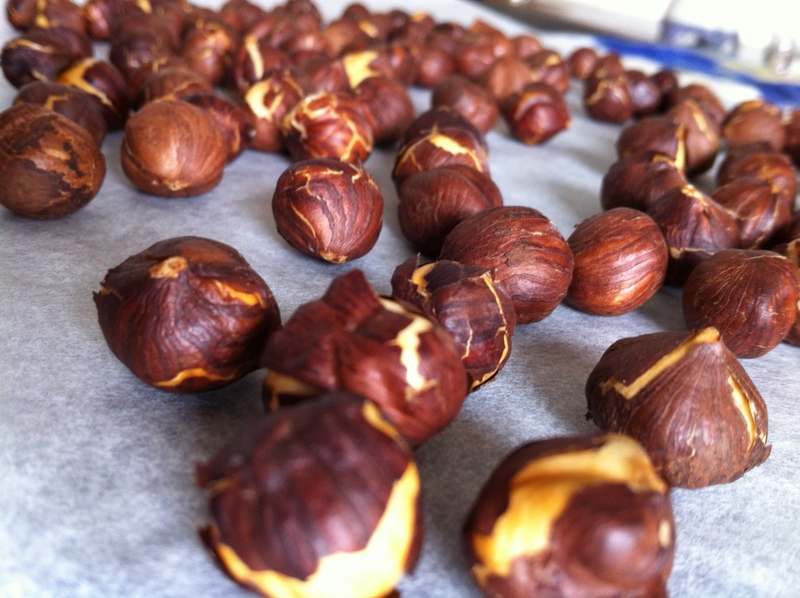 If you haven’t roasted hazelnuts before you will notice a beautiful aroma spreading in your kitchen…. Like Nutella! It’s the roast hazelnuts that give it that unique flavour. While the nuts cool down melt the chocolate at low heat over a water bath, stir continuously (don’t let it get too hot, don’t let the water touch the chocolate bowl or it will burn and the chocolate will be ruined). When all lumps are nearly melted, take the bowl off the water bath. Let it cool for 10-20 min, or however long it takes, before it’s room temperature. 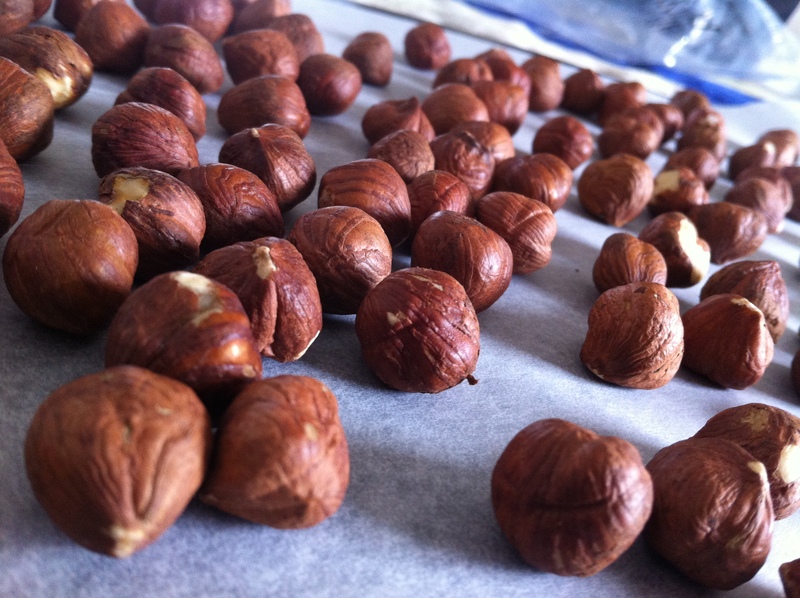 Place the hazelnuts in a tea towel or similar and rub until most the skins come off. Flatten the tea towel and run a flat hand over them to separate the nuts from the skins. 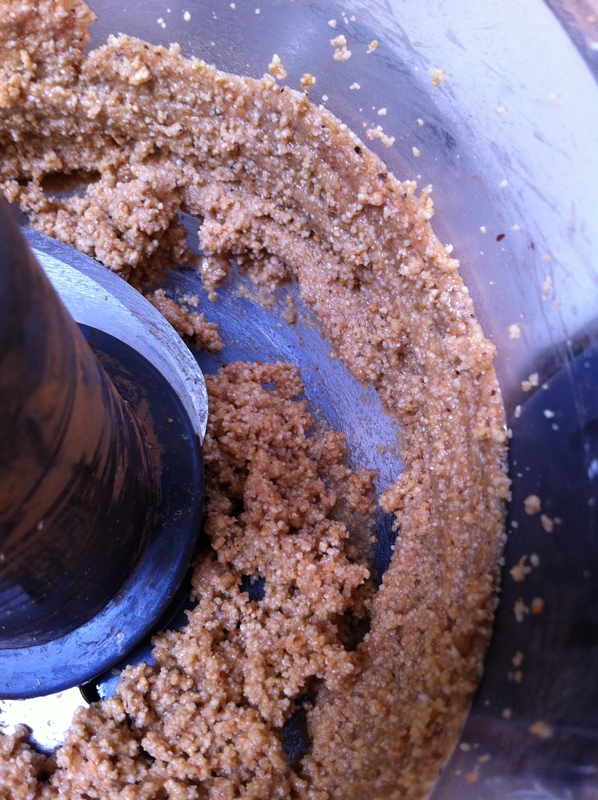 Put the nuts in a food processor and combine until smooth (or keep crunchy if you like the texture, I know I do!). Then add the oil and your melted chocolate when it’s ready and process for another couple of minutes until its as smooth as you desire. If you want it completely smooth, strain it though a cloth (I skip this step as I don’t mind). Right, so here comes my first attempt at a sugar, dairy, gluten and palm oil free version. Disclaimer! This does not taste exactly as the real deal, more like a dark chocolate version of Nutella. 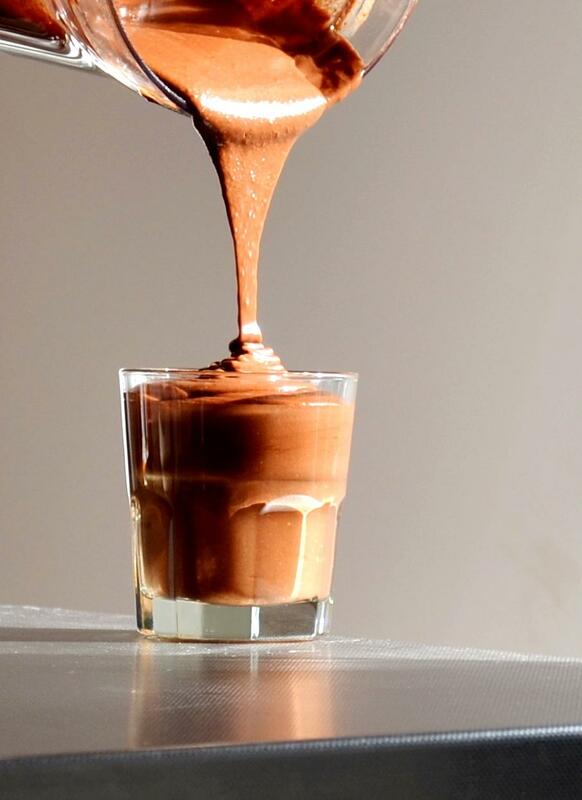 However, as I pondered how to alter my attempt to get closer to the Nutella taste, I found myself having a spoonful…. Then another spoonful and soon I had devoured about a third of the jar! 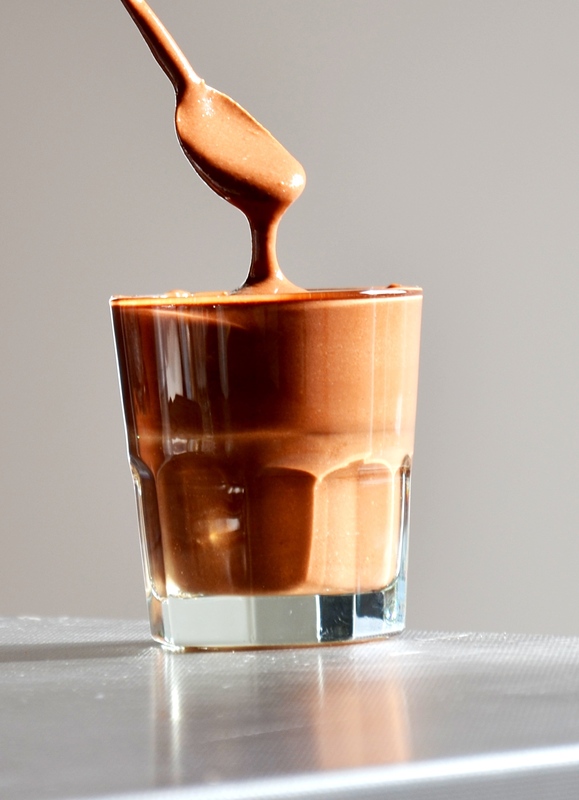 Well luckily it is not specifically unhealthy haha… So, whilst I keep trying to find the perfect free-from “tastes-like-Nutella” recipe (and keep test-tasting), here is a super delicious, smooth and creamy dark chocolate hazelnut spread. 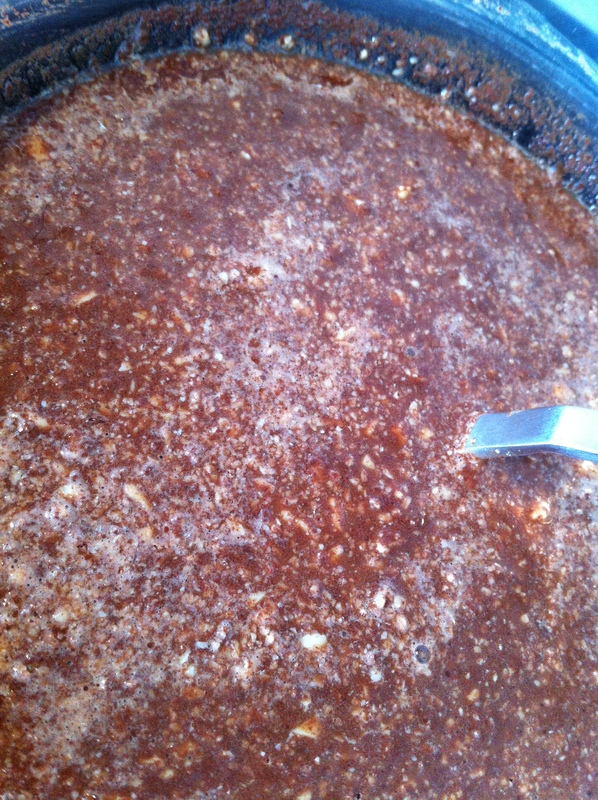 Process the cacao and 2 tbsp melted coconut oil until smooth. 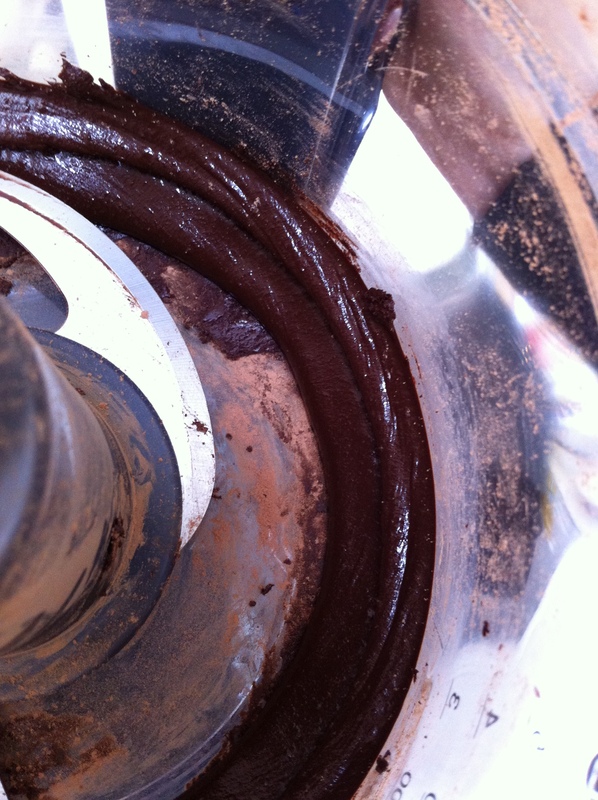 Transfer chocolate paste to a separate container. Add the cocoa butter to the food processor and mix until you have a grainy texture, it doesn’t matter if there are a couple of bigger pieces. Pour the water into a bowl over a water bath. Add the chocolate paste and the cocoa butter to the water. Mix with a fork (it will be lumpy). Warm up slowly over low-medium heat until it is a completely smooth liquid, set bowl aside to cool while do do the next part. Now, process the roasted hazelnuts until as smooth as possible. 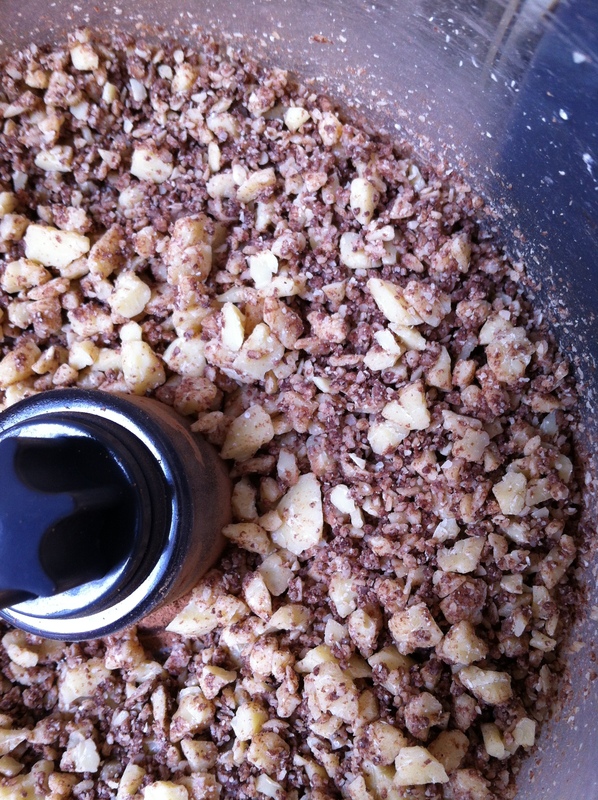 Add 2 tbsp melted coconut oil to the hazelnut paste and process until smooth. 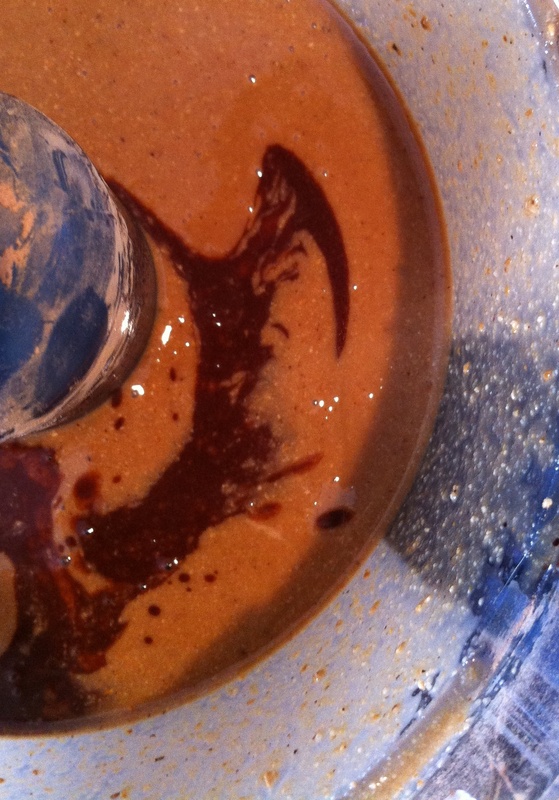 Then add the chocolate liquid and process again. If you want it completely smooth, strain it though a cloth (I skip this step as I don’t mind). Then, all you have to do is pour it into a jar and try not to eat it all straight away! « Fructose free “Heinz” ketchup! 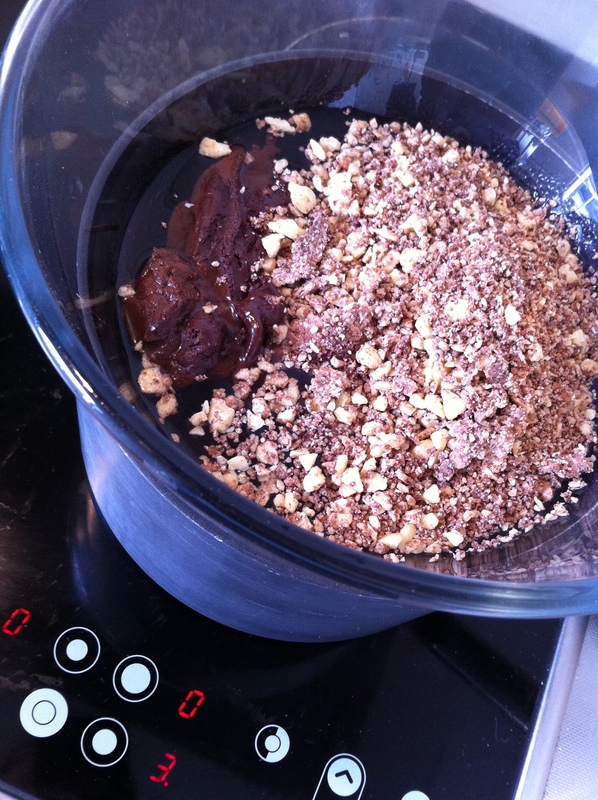 Caroline, this looks super yummy – I haven’t tried making choc spread this way before, but I really should now! A post made in food-blogging heaven!! Thanks 😉 I figured I might not be the only Nutella fan. In then first recipe, I can’t see where you add the oil. It may not matter that much, just add to the processor at the end? In the lower recipe (with dextrose instead of milk chocolate) you don’t say how much hazlenuts. Is it the same is the upper recipe? 1 Cup? Whoops… must have forgotten, I just added that, but yes, 1 cup 🙂 Apologies, by the way, for the delay in responding – as you might see from my recent post I have been slightly preoccupied lately. Just wondering how many roasted hazlenuts you need to use for the second recipe please? Looks scrummy! Thanks for pointing out – I must have missed it, just added – It’s 1 cup of hazelnuts 🙂 Apologies, by the way, for the delay in responding – as you might see from my recent post I have been slightly preoccupied lately.